Our latest webinar interview is about B2B marketing with expert Ruth Stevens. Business buying behavior continues to evolve–and fast. So marketing behavior has to keep up! 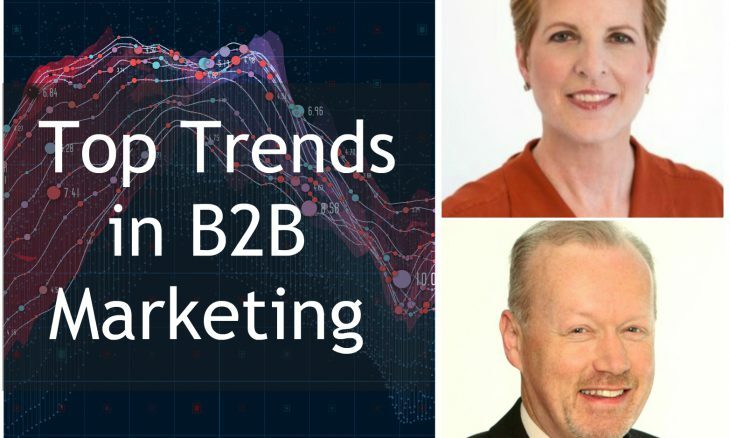 Mike Moran interviewed marketing consultant and author Ruth P. Stevens about the key B to B marketing trends you need to pay attention to right now. Ruth gave tips on what to do about recent changes in B2B buying behavior. Ruth P. Stevens consults on customer acquisition and retention, teaches marketing at business schools in the U.S. and abroad, and is a blogger at Biznology and Target Marketing Magazine. Crain’s BtoB magazine named Ruth one of the 100 Most Influential People in Business Marketing. Her newest book is B2B Data-Driven Marketing: Sources, Uses, Results. Ruth has held senior marketing positions at Time Warner, Ziff-Davis, and IBM and holds an MBA from Columbia University. Thanks for sharing those insights , As depending very much on the B2B sales this data is really helpful to me.